Faults shall be penalized in proportion to their deviation from the standard. In judging the Chow, the overall picture is of primary consideration. Exaggeration of any characteristic at the expense of balance or soundness shall be severely penalized. Type should include general appearance, temperament, the harmony of all parts, and soundness especially as seen when the dog is in motion. There should be proper emphasis on movement which is the final test of the Chow's conformation, balance and soundness. Click Here to Learn about breeder background checks on Chow Chow breeders if you are looking for Chow Chow puppies for sale. Click Here to learn how ResearchBreeder.com can help you find healthy Chow Chow puppies for sale. Click Here to order a Breeder or Kennel Background Check on Chow Chow Breeders that may have Chow Chow puppies for sale. Click here to find the national breed club for Chow Chow puppies for sale. 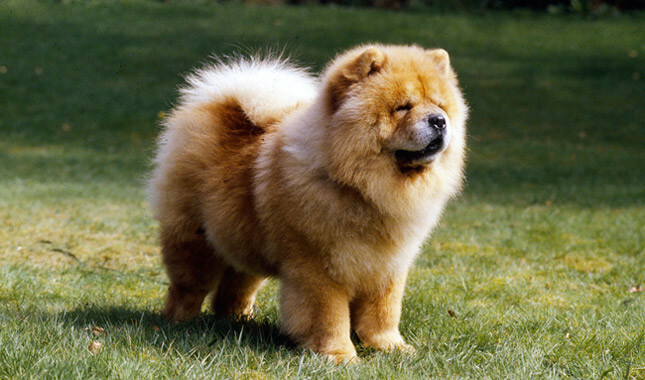 Click Here to purchase a list of approved ResearchBreeder.com Chow Chow Breeders who have Chow Chow puppies for sale.